Being a Sole Girl; Solemates who train together, stick together! Exciting news! 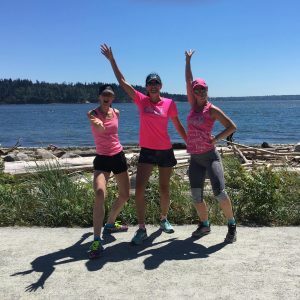 A group of Sole Women have decided to join together to train for the Pacific Northwest Half and Full Marathon! The race takes place this Fall on Saturday, September 15th in Oregon, which means we have 8 weeks before race week. The countdown is ON! Follow us on our training journey here and on the Sole Girls instagram (@sole_girls)! Each week there will be a different topic and this time we’ve decided it’s “Being a Sole Girl”. Read below to hear our training experiences! 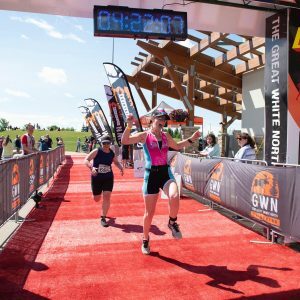 I signed up for a couple of triathlons the last few weeks (Vernon, Edmonton and Kelowna) instead of focusing on my running (oops). I just seemed to be in the right place at the right time. So in terms of training specifically for the distance, (42.2kms) it’s not going that well. I’ve decided to focus on Timed Training instead of distance, which is a bit different from traditional marathon training. I’m the only one training for the full marathon but I feel so supported doing it along side my solemates. I’ve had a couple of challenges along the way the last couple of weeks as well and it reminds be that being a sole girl means feeling supported, getting through the hard stuff and going with the flow. Much like the half marathons I have completed in the past, I jumped at the chance to sign up for this one simply because it provides an excellent excuse to adventure to a new place with my dear friends. 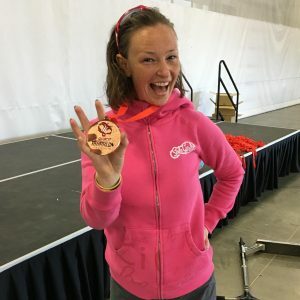 Having spent the past few months focused on healthy eating, strength training, and saying “Yes” to new opportunities, training for the Pacific Northwest Half Marathon seemed like a great way to bring these factors together. At the heart of this decision is the celebration of the female friendships I’ve been blessed with through my involvement with Sole Girls, and I’m excited to begin this journey as a group. Now, its time to create a training plan and hit the ground running. This is the first summer in at least three years that I am NOT in running shape. I was busy finishing up my degree this spring so I didn’t have a race booked, hence my commitment to running regularly grinded to a halt. I missed it! Once I heard my sole girls friends were considering a race in Oregon, I jumped in with both laced-up feet! This summer I will be travelling and on the go but am determined to prepare for this race and run like I never left! This attitude is one we always encourage at Sole Girls – no matter where you’ve been up til now, you can do anything you set your mind to! What does it mean to be a Sole Girl? I feel that when I am asked this question that I immediately light up and smile because I feel so much love and gratitude when I talk about it. 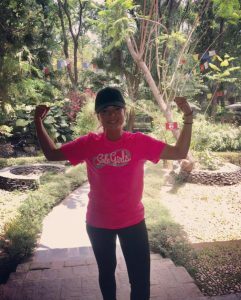 When I put on my bright pink Sole Girls shirt, I feel like I can run as fast or as long as I want to. I feel empowered in knowing that I have a Sole community who believes in me and is cheering me on even if I can’t see them. Words cannot express how I feel about being a Sole Girl. It’s a feeling like no other and it’s unconditional and filled with so much love and support. As I type this I am in Udaipur, India working with a women’s empowerment group. I brought my SG shirt to India and I love being able to share what we do with others. 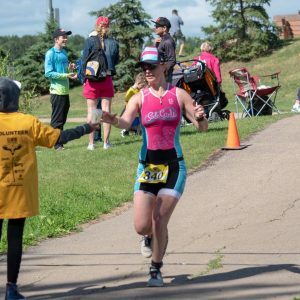 I am sole excited to be training for the next 9 weeks for what will be my 14th half marathon in Oregon this September! I am sole excited to be sharing this experience with you all as I train under different conditions than I usually have. It is monsoon season in India right now which means that there are a lot of floods and humid weather. My training so far consists on doing a 5 minute jog/puddle jump to the local gym. On this route, I pass by a lot of stray dogs and sooo… many cows. These cows are unstoppable!! They walk in the middle of traffic and are fearless. In India, cows are seen like God’s and therefore are highly respected. When I get to the gym, I pray they will let me put the ac on where the treadmills are. I have noticed that the locals like to turn the ac off so they can sweat more. Myself, I sweat enough and appreciate the ac. I have only been training running 10 km so far and I will up my runs to 13 km next week. I haven’t been running lately as my life in India has been very different than my life in Canada. I meditate more, I work 6 days a week, I go on Sunday Funday trips around Rajasthan checking out forts and temples and I must add that I eat A LOT! I am in the process of fuelling my body with nourishing food and saying no to all the great treats because they don’t make me feel good and have the energy I need. Here is to saying yes to things that serve me and letting go of things that do not serve me to my highest power! Here is to this fun journey with our Sole Community and our next fun adventure in 9 weeks.